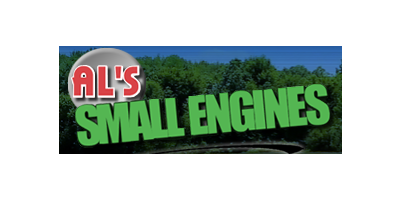 Al's Small Engines has THE BIGGEST PARTS INVENTORY in North Florida. We are your local authorized dealer for Big Dog Mowers, Hustler Turf Equipment, Husqvarna, Jonsered, Tanaka, Honda Engines, Briggs and Stratton, Kohler Engines, Kawasaki Engines, Poulan, Tecumseh, Oregon Bars and chain supplies, Arborist Supplies and Generac Generators. Now you can shop our parts inventory online. Whether you live here locally in the Jacksonville area or across the country, we want to be your one stop outdoor power equipment parts and supplies provider. Al's has been serving North East Florida since 1972, providing our customers with the absolute best quality equipment available. Along with the best equipment, we have provided the biggest parts inventory in the area with well over a 90% fill rate across the board. And don't think we forgot about the service, we have a trained service department staff, utilizing the most up to date tools and resources in the industry.